I don’t think I can keep up the no cake baking challenge much longer. It was intended to help us try and lose a little weight before our holiday but I’m just baking and cooking other things instead! The Autumn weather doesn’t help either as there is something very comforting about a busy, cosy kitchen on a cold day. So it will have to be more swimming and walking and back to cake soon! Today I finished off making my Plum and Russet mincemeat which I adapted slightly from the lovely River Cottage Handbook “Preserves” by Pam Corbin. It’s a lovely book and I was inspired to buy it after going to River Cottage for a demonstration by Pam. She has so many ideas about bottling and preserving fruit and vegetables. Today is a special day for Pam, her family and the River Cottage team as they set off on a charity bike ride in memory of Pam’s daughter Pip. They are cycling to Turin (www.slowridetoturin.co.uk). 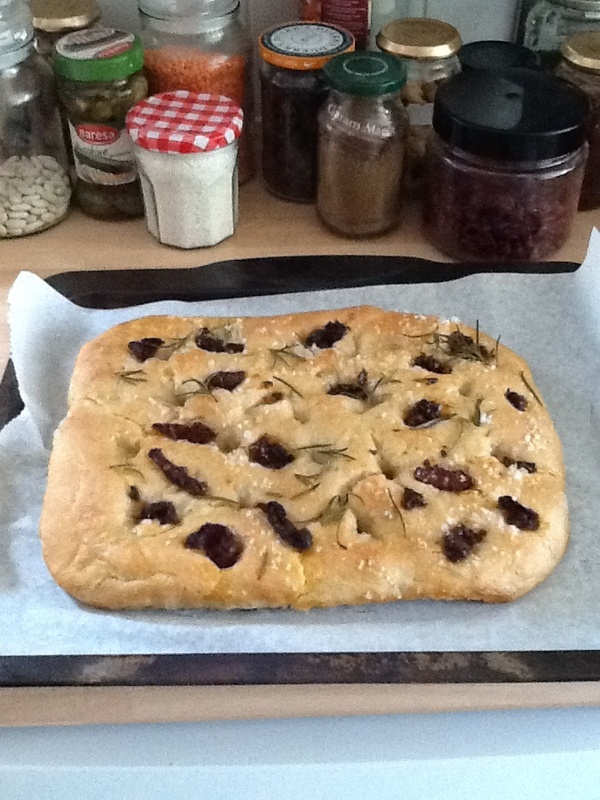 I also made some more bread using my Bread Club recipe and attempted a sun-dried tomato and rosemary focaccia. 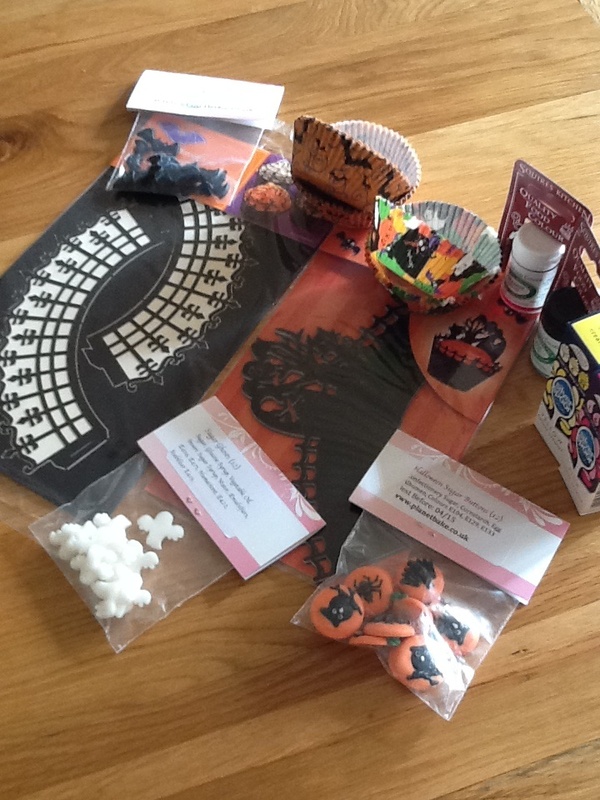 I had a delivery of Halloween and Christmas cake toppers etc this week so decided to sort out my supplies and found some Halloween bits left from last year so it looks like I’ll have a good baking play date with my gorgeous grandson in a couple of weeks. The new items were all from Planet Bake and their ordering and delivery were all first class so will use them again. My daughter lives in a lovely friendly little road and last year their Halloween evening was wonderful so we’re looking forward to that. I only learnt from my daughter last year that these days if you put a pumpkin in your window that means you are happy for children to Trick or Treat. Seems like a good idea to me and certainly worked around them with an elderly couple being left in peace.